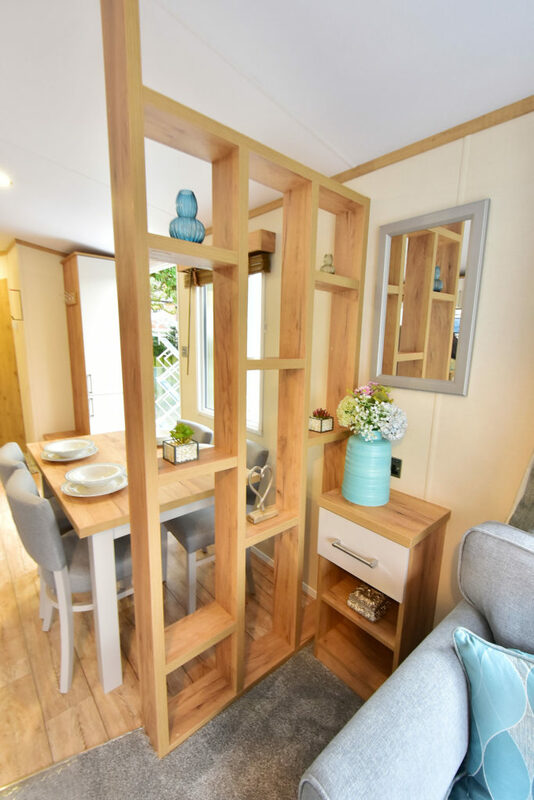 A contemporary static caravan with a touch of flair! 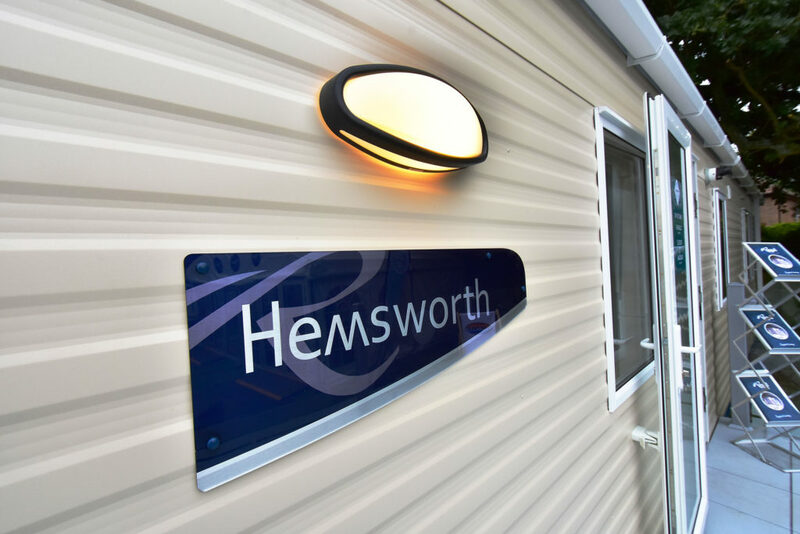 Turn the clock back to 2009 – and a new holiday caravan manufacturer was being set up. Regal was to be the new name, launching three ranges for the 2010 model year. From those first models produced the company would earn a reputation for quality build and a more modern approach to interior design. Based just outside Wareham in Dorset, Regal have established themselves quite quickly. 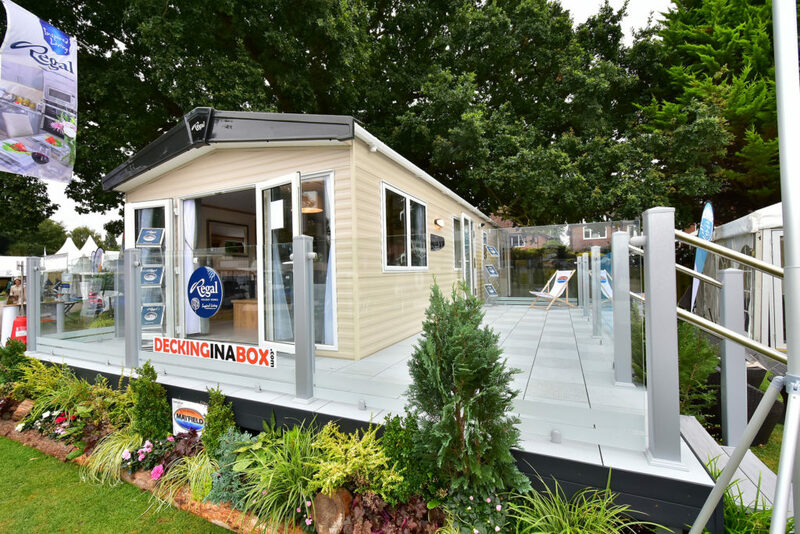 The company has its roots firmly in static caravan manufacturing. Bluebird Caravans set up in this area in the late ’40s and became a major manufacturer of tourers, holiday caravans, motorhomes and mobile homes. In fact, Regal was a one-time model name of Bluebird’s Premier range – coincidence or not it ties in with the heritage of holiday caravan manufacturer in the area. So when Bluebird was sold off to Willerby in 2000 and by 2008 production moved to Hull the Regal firm was sort of the result. Okay, so what’s the new Regal Hemsworth like? Launched with six layouts available in 12ft and 13ft widths this is a promising new range. 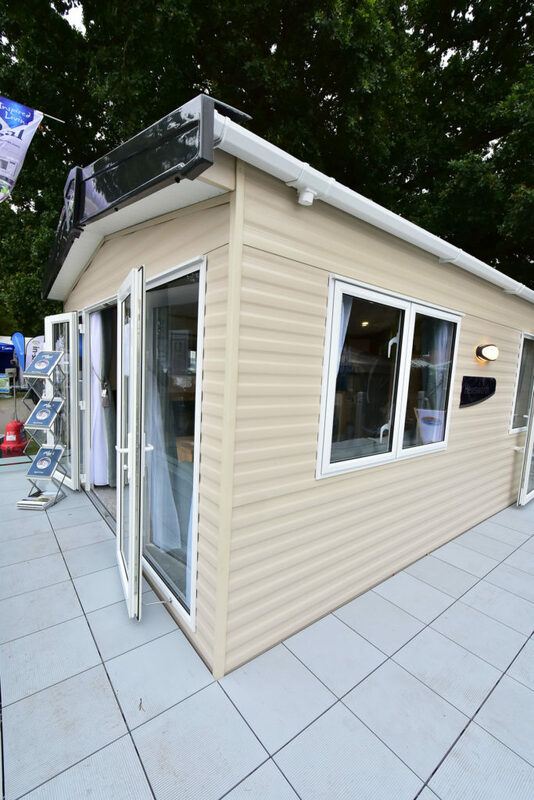 Firstly the exterior comes in a sandstone coloured aluminium, complete with UPVC gutters and downspouts, plus our review model had (optional) double glazing. A galvanised chassis is optional but full insulation and a vaulted ceiling are all part of the makeup of the Hemsworth. Step through the optional front French doors and you’re faced with a rather smart lounge area boasting the latest trends in design. Two sofas are provided – one offering a pull-out bed. 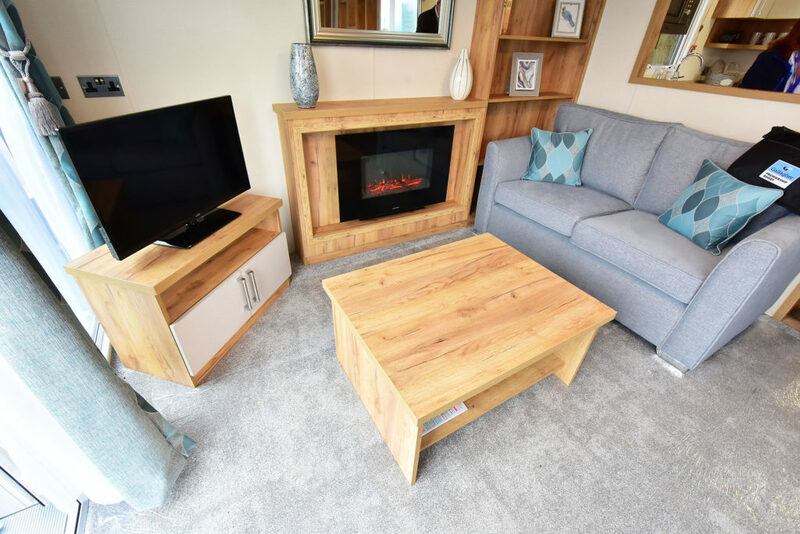 An electric fire is fitted in the snug TV viewing area and for storage there are shelves and a chest of drawers. We’d plumb for the French doors as they do show off the lounge at its best. The kitchen area is open plan, with the dining area behind. This has a very trendy retro wood frame providing shelves – it does look really contemporary. There’s a modern table here with four chairs for dining. The kitchen opposite is large with acres of worktop and loads of storage. Optional microwave and dishwasher were fitted but we would’ve liked to have seen a slightly larger kitchen window. There’s a fridge/freezer as standard and power points are aplenty, including USB points. 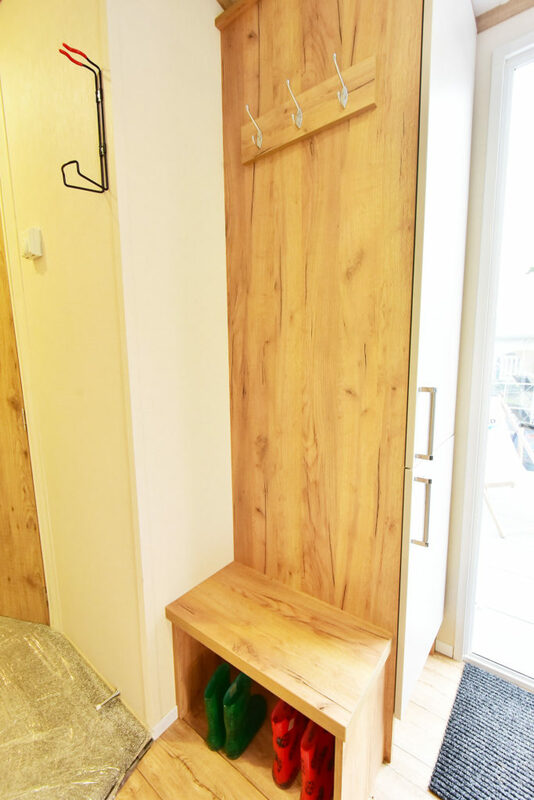 Now using the side entrance and you have a neat porchway with coat hooks and a shoe storage/seat cupboard. 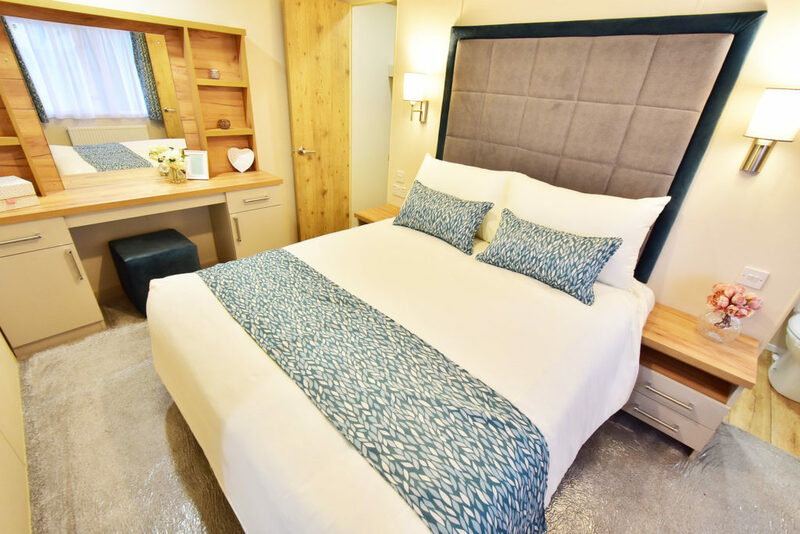 The twin bedroom is well appointed with plenty of floor area and overhead storage units, plus a single wardrobe. Apart from a mains sockets, a USB point is provided too. Opposite the twin bedroom is the bathroom with walk-in shower, loo and hand basin. There’s a good floor area for changing too. The master bedroom has a king-sized double and also comes complete with a walk-in wardrobe. Great storage comes with that wardrobe, plus a large chest of drawers. 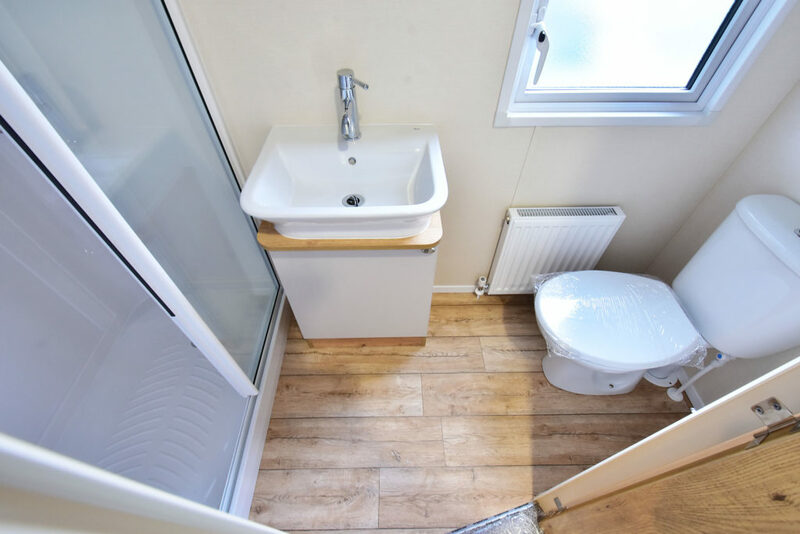 There’s also a good-sized dressing table too, with cupboard/drawer and shelves offering plenty of room for toiletries and cosmetics, plus large mirror. 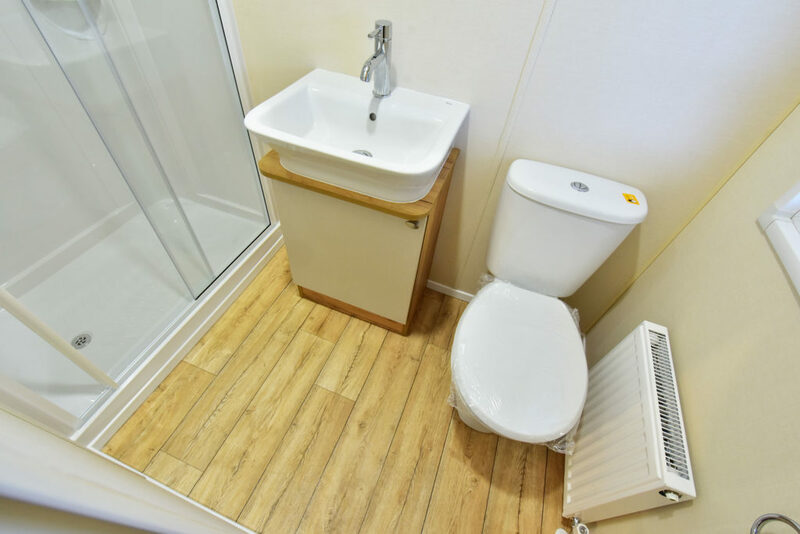 With the double bedroom, there’s an en-suite complete with walk-in shower and more cupboard storage beneath the hand basin. Verdict: Not an entry level static caravan but value is still key. We like the modern interior and upmarket feel, with plenty of add-on options for buyers to use. The Regal Hemsworth is spacious with that extra foot making a big difference – although a 12ft-wide version is also available. 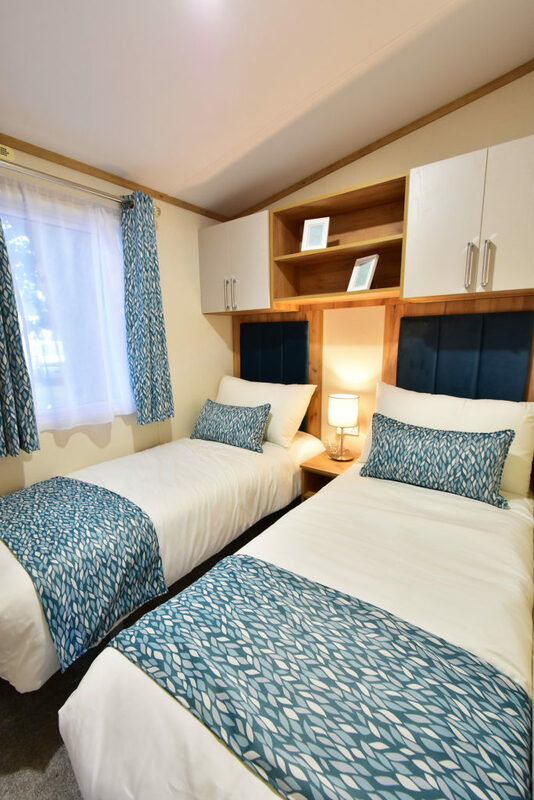 Could this be another winning range from Regal Holiday Homes? Plus points: Feels more upmarket for this price sector, good use of modern design trends, king-sized double bed. Minus points: Kitchen window could be slightly larger, no microwave as standard. In a nutshell: For those wanting a step up from the entry level, the Regal Hemsworth should be on your shortlist. Its contemporary design has lots of appeal. 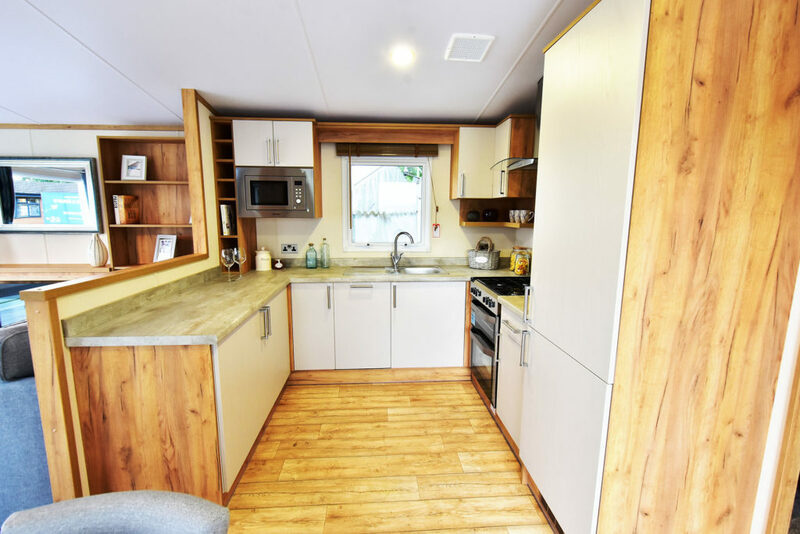 Key optional extras: Galvanised chassis, front outlook French doors, gas central heating, dishwasher or washer dryer, microwave, double glazing, lift up double bed storage, alternative exterior cladding, and insulation upgrade. If you’re looking to buy this static caravan why not get an insurance quote from us today. Click here to get your quote online. For more information visit www.regalholidayhomes.com or call 01929 557850. *Extra charges will be made by park operators and/or distributors for transport and siting and annual maintenance. Please check the price carefully before you commit to buy as prices vary considerably dependent amongst other factors, on the geographical location of your chosen park. beautiful love the real wood affect throughout the holiday home .